Diverse technologies like Cloud Applications and IOT have changed the way we work and interact with our data and rendered the old threat-centric security model obsolete. 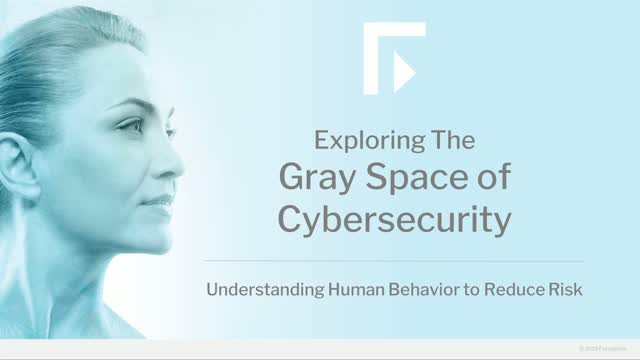 This diversification has made it much harder to identify good and bad behavior leading to an ambiguous “gray space” – which in turn has made it much harder for security teams to know when to intervene. Watch this webcast and learn how you can move beyond threat-centric security. Trust forms the foundations of any relationship. For businesses, trust provides a platform for building strategic partnerships, establishing a reputation, and embracing innovation and change. But large-scale data breaches and privacy abuses are undermining trust - 63% of senior executives at large enterprises say that trust has eroded over the past two years*. - The factors and relationships that influence trust. - How to foster a culture of trust within the organization. - How technology can play a part in facilitating trust. Watch this webcast and learn how you can help your organization become a trust leader. Unlike traditional network architectures, software-defined wide-area networking (SD-WAN) makes it possible to harness existing network technology to better align operations and business policies. While many companies identify a need to evolve to SD-WAN, they are not always convinced SD-WAN can deliver the necessary enterprise capabilities. Join us for a webinar with Link-Connect to learn how they use Forcepoint NGFWs to deliver enterprise-class SD-WAN to manage more than 400 sites from a single management console. •Simplifies operations. Management is easier with central management, visibility and hierarchical policies. •Saves investment dollars. Smarter use of capacity and the ability to visualize and prioritize traffic reduces connectivity costs. As the threat landscape constantly evolves, companies keep investing in new security solutions to counter each new threat type that plagues the cyber world. Over time with each new solution infrastructure becomes increasingly complex and fragmented. These point solutions are not integrated, security teams investigating an incident are routinely trying to build a picture from multiple data sets and reports – frustrating attempts to quickly mitigate threats. This stems from the fact that a traditional environment where only firewalls and anti-virus solutions were prevalent, many organizations now have dozens of security products from a wide variety of vendors, causing substantial complexity in the environment. Have we reached the point now where security complexity now itself presents a threat to the business? In this Forcepoint sponsored Computing web seminar, we explore how we got here, and we look at practical steps that enterprises can take to reduce complexity, manage risk, and speed up incident resolution. In 2019, attackers will stop at nothing to steal our identities, evade detection through new techniques, and bring disruption to our doorsteps. The stakes are high, the world more connected than we could have ever imagined. In this channel we discuss the current and future trends in cybersecurity, the latest approaches to tackling threats and delve into topics such as privacy, trust and cognitive science.